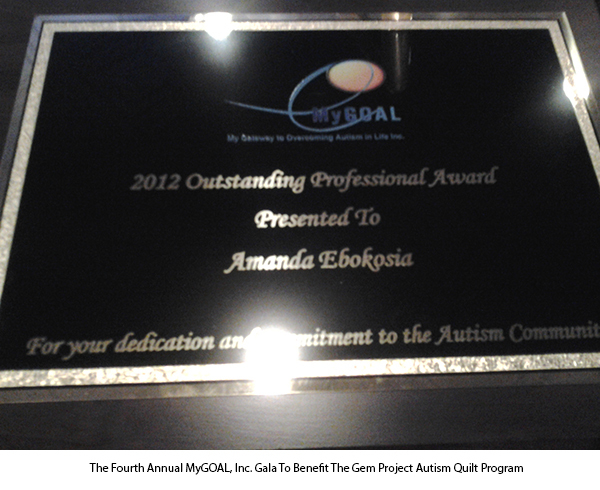 Earlier this year, we created a partnership with MyGOAL and our autism quilt program. 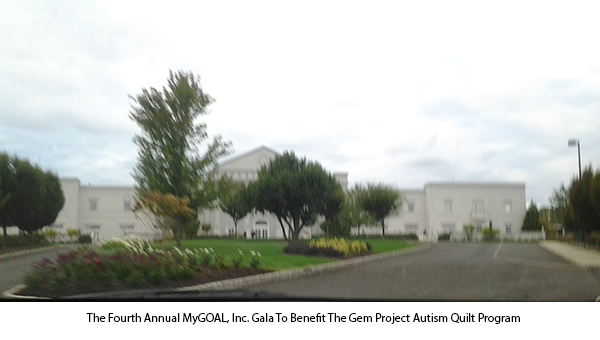 The Autism Quilt Program in partnership with MyGOAL, Inc. is a collaborative project that serves as a tool for promoting awareness about autism, while enforcing the importance of early diagnosis and intervention. You may read more about the program here. The elegant event was welcomed from start to finish by its host, Lisa Panarello. Panarello is founder & President of Career Advance. She has been featured on the CBS Early Show, EBTV, and the Career Clinic Radio Show. As an empowerment coach, she has impacted the lives of over 550,000 students and professionals nationwide. 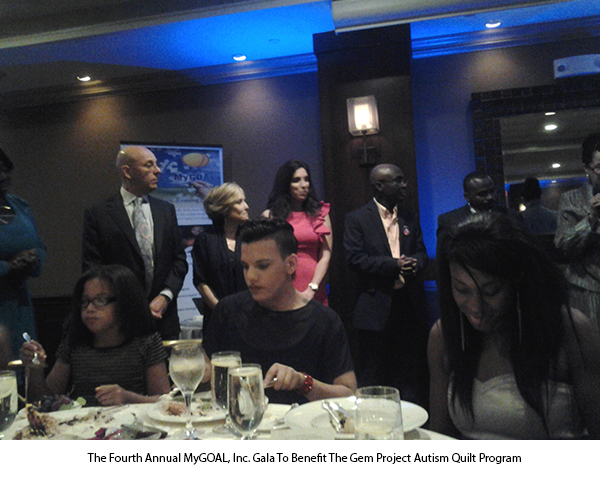 The event awarded 5 $1000 dollar mini grants to 5 families with a child on the autism spectrum. The grants were given to make treatment options more accessible. The MyGOAL Family Grant and Award program was established in loving memory of Daryl Matthew Gosein. Family grant recipients were Brian Ornelas, Beatrice Silva Chance McField, Ryan Morgan Brooks, and Christian Veloz. Guests were greeted as they walked into the gala with a showcase of art displayed throughout the event. Many of the art displayed were by individuals on the autism spectrum. A table was adorned by art from a school and autism center in Ghana, AACT. The school provides children with autism, support and care. All guests received art work from the children and bracelets. Other artists included: Sam Garruto, Justin Canha, and Dylan Gosein. Many art was auctioned throughout the event, including art from Pencilworks Studios. 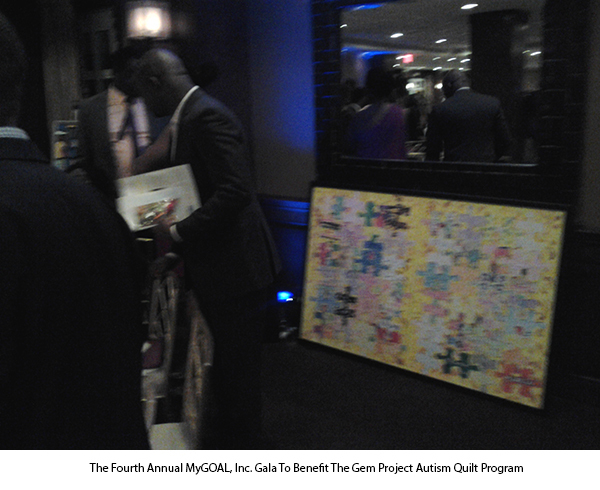 The event is to benefit The Gem Project Autism Quilt, which was on display for the occasion. 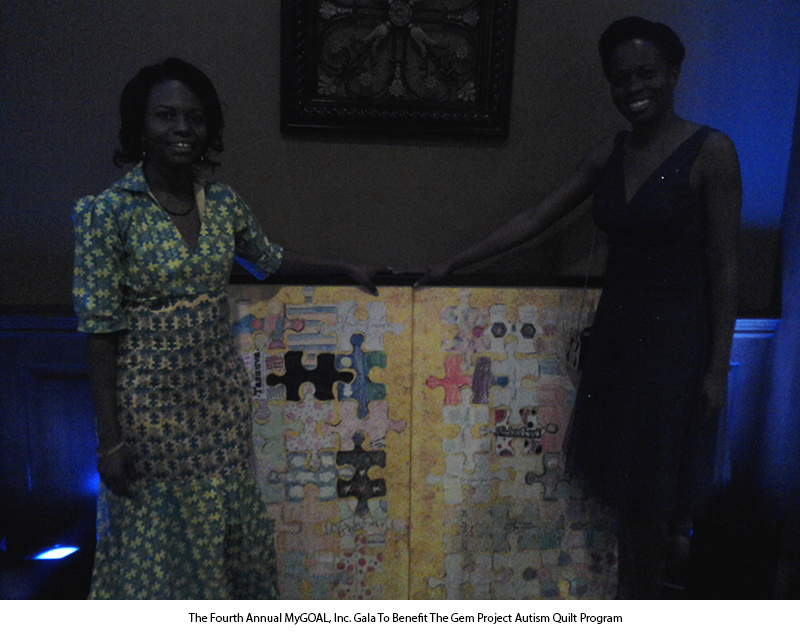 Last May we had a fundraiser from Events Cherished, which helped to create the framing and production of the displayed quilts at MyGOAL’s gala. We gladly welcome also the new partnership with MyGOAL. Individual Sponsors included: Mrs. Exquisite International, Sudha Narayanaswamy, PharmD, William Bernstein, M.D., Bipin Patel, M.D., Nancy Palamara, PharmD.